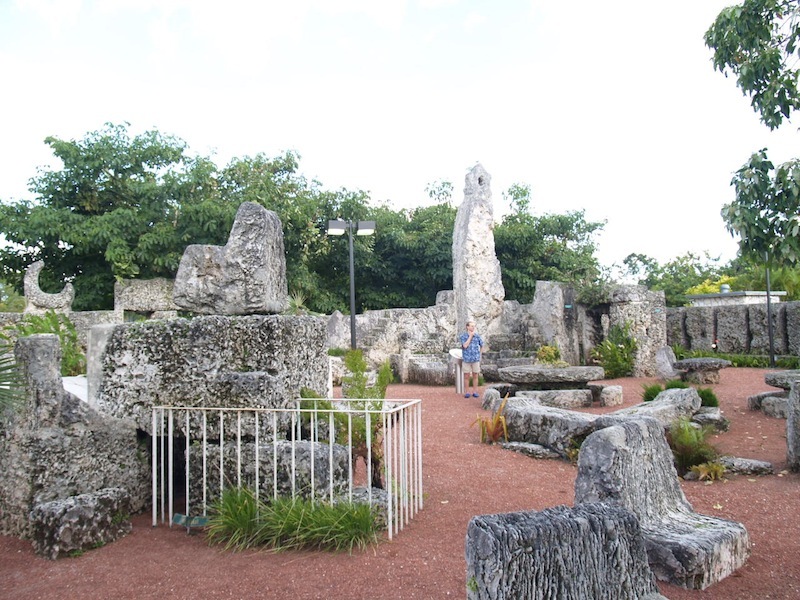 Miami’s equivalent of the Taj Mahal, the Coral Castle is one of those amazing, thought provoking places that should be a stop on everyone’s journey on a motorhome rental or campervan hire holiday. The Coral Castle is the work of just one man, Ed Leedskalnin. It took Ed 28 years to carve the castle, which he began in 1923; he worked under the cover of darkness, and used no modern technology. He told no one of his methods, the only thing he would reveal is that he knew the secret of how the pyramids were constructed, and if he could understand, then we could too; but Ed’s secret died with him. Many visitors wonder why Ed took so much effort in building his palace, the answer, it was all for love. Ed, from Riga in Latvia, fell in love with sixteen-year-old Agnes Scuffs, they were to be married, but Agnes called off the wedding the day before the ceremony. 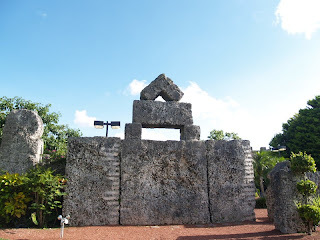 Poor Ed was heartbroken, so devastated, that he decided to create a monument to his lost love by carving over 1,100 tons of coral rock, single handily. How romantic! What makes it even more romantic was that Ed was only a tiny little man, less than five feet tall and less than 100 pounds in weight. He cut and moved enormous blocks of coral to create his masterpiece, and when asked how he moved such large and heavy weights he again referred to the pyramids and the art of leverage. He worked at the castle everyday guiding visitors through the site and showing them the sculpture garden, where he brimmed with pride over his creation. In December 1951, Ed put up a sign saying “going to hospital”, he closed the castle and took the bus to the nearby hospital, where he died three days later. Today, without Ed, the story is told via audio stands in many different languages, and in place of the man himself, knowledgeable guides conduct tours explaining the feats of engineering, which include a 9 ton gate which you can move with your finger, fully functioning rocking chairs, and a telescope, all made from stone. With such effort and love involved in making such a beautiful tribute to his lost love, you simply must visit Ed’s Coral Castle on a motorhome rental or campervan hire holiday in Miami.